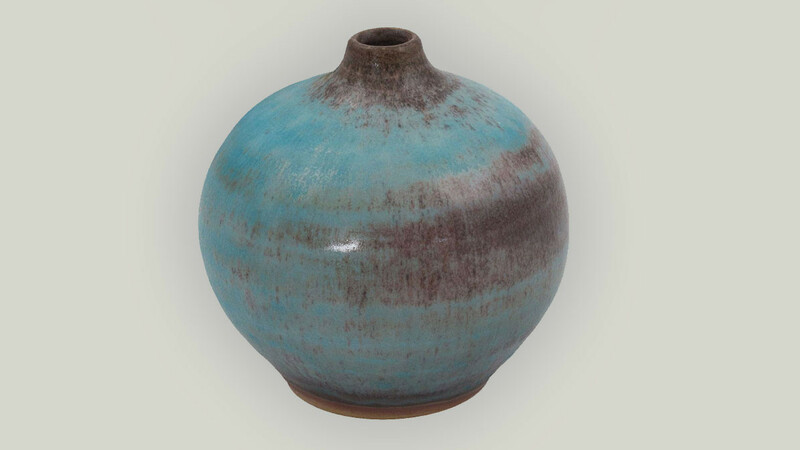 This beautiful bud vase was handcrafted in Thailand by an artist names Duangkamol. It is an original fair trade product in association with National Geographic. The vase has been designed to have a rustic/vintage appeal. 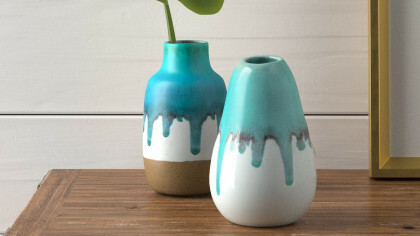 It is a ceramic vase that has been painted with a turquoise color. The color has been blended with brown to create the vintage look. Because this is a handmade item, each vase is slightly different. This means that you can buy an original at a low price. This little bud vase measures 3.7 inches tall and 3.9 inches in diameter.